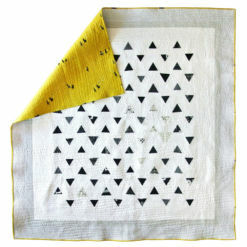 Color 1: 1 ⅞ yd. 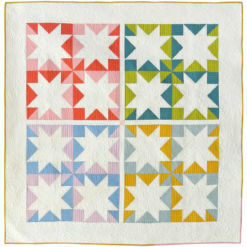 Color 8: 6 ½ yd. 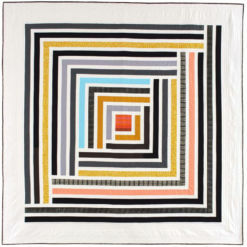 QUEEN/FULL - 91" x 108"
Color 1: 1 ½ yd. 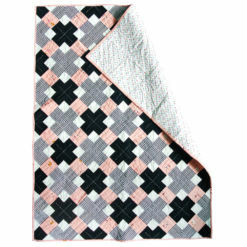 Color 8: 6 ⅛ yd. 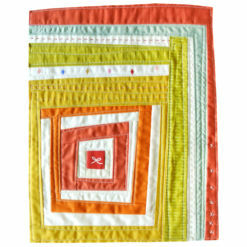 THROW - 65 ½" x 65 ½"
Color 8: 2 ½ yd. 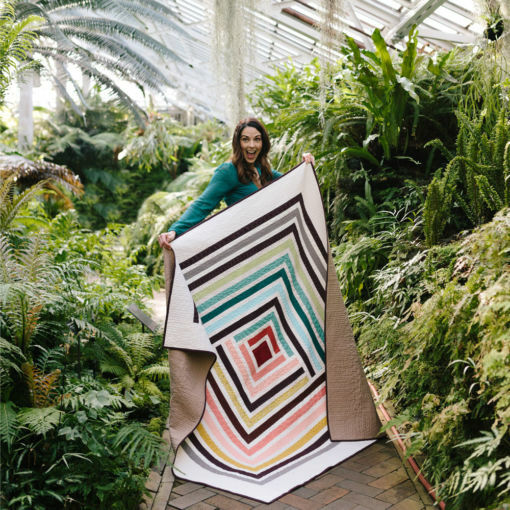 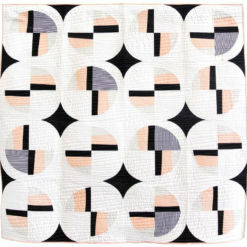 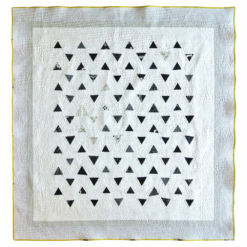 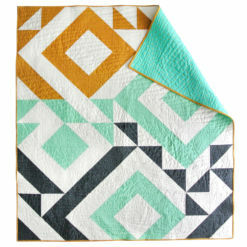 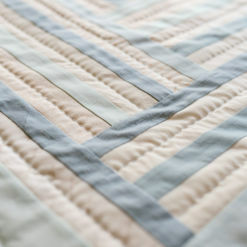 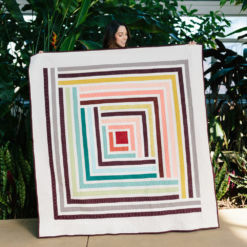 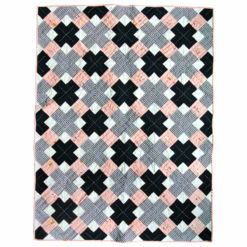 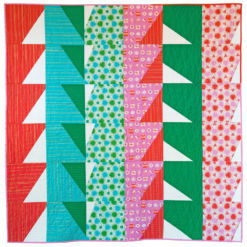 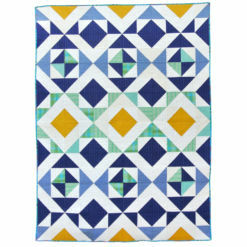 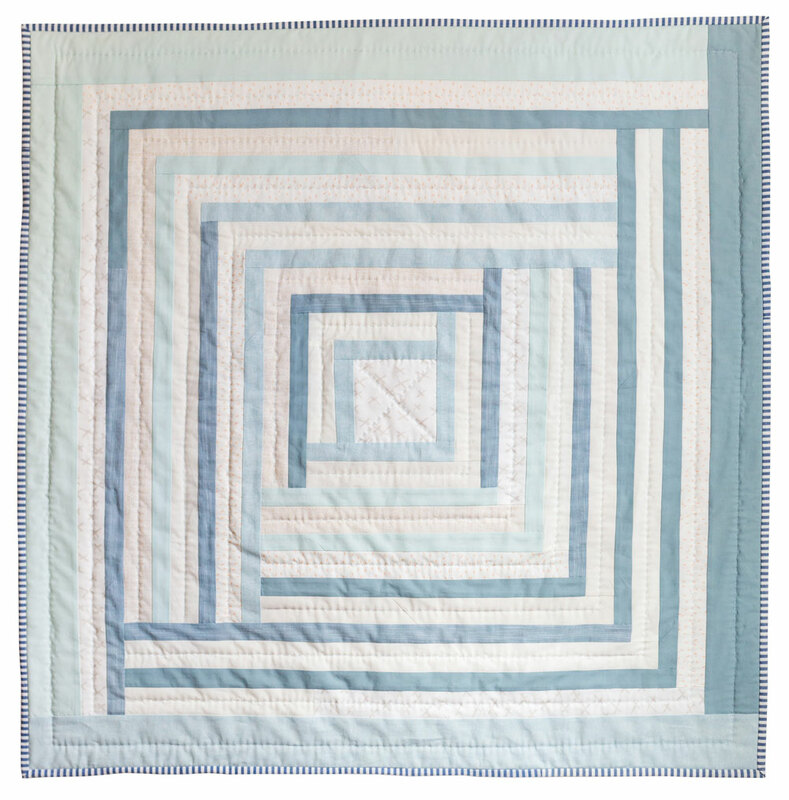 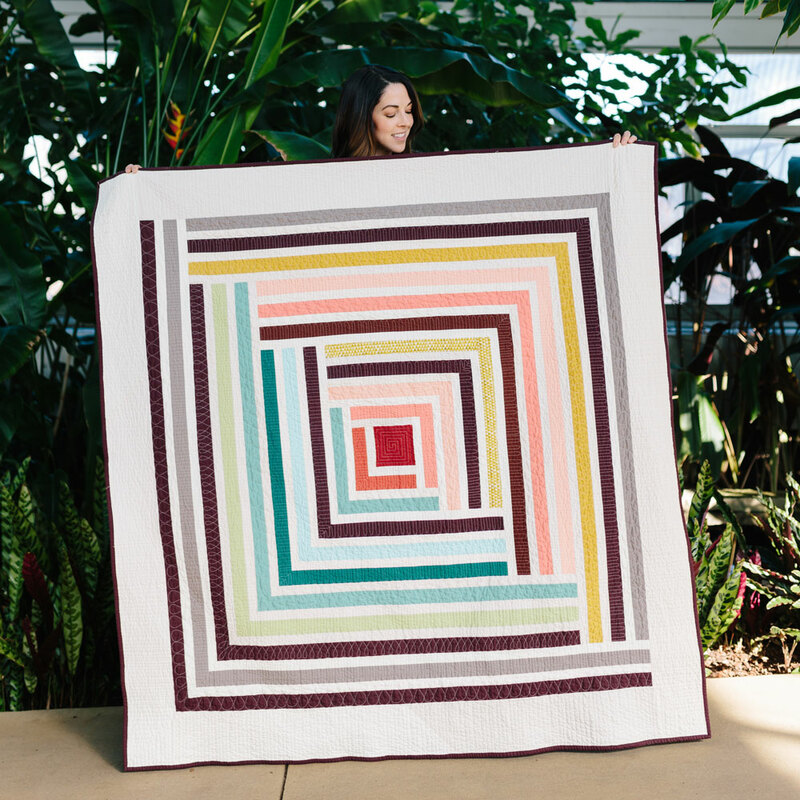 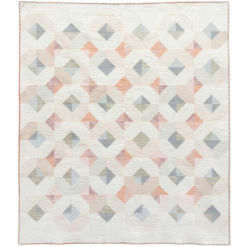 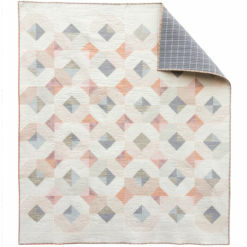 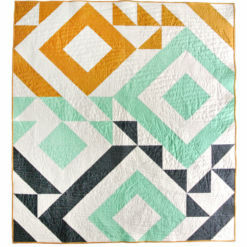 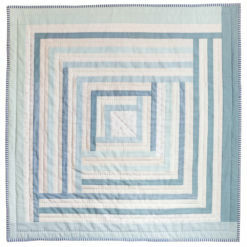 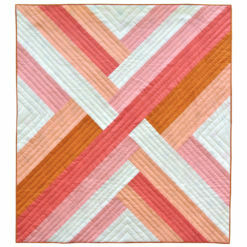 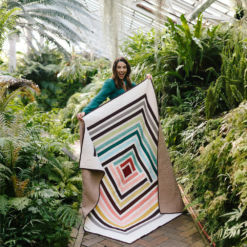 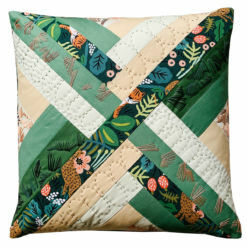 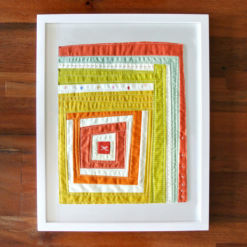 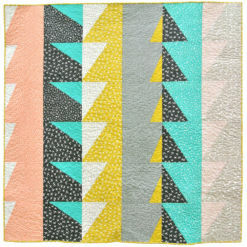 BABY - 40 ½" x 40 ½"
This modern medallion quilt is based on the classic Log Cabin block. 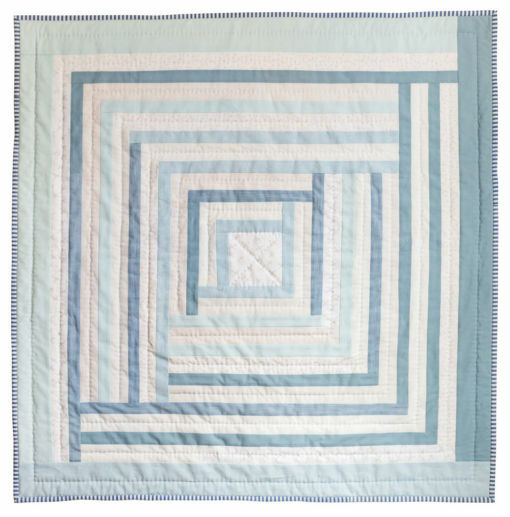 To pioneers traveling west, the Log Cabin design symbolized home, warmth, love, and security. 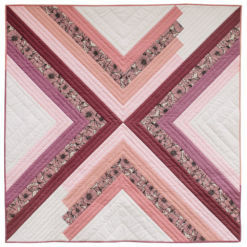 Traditionally, the center square of the block was made in red to represent the hearth – the focal point of life in a cabin or home. 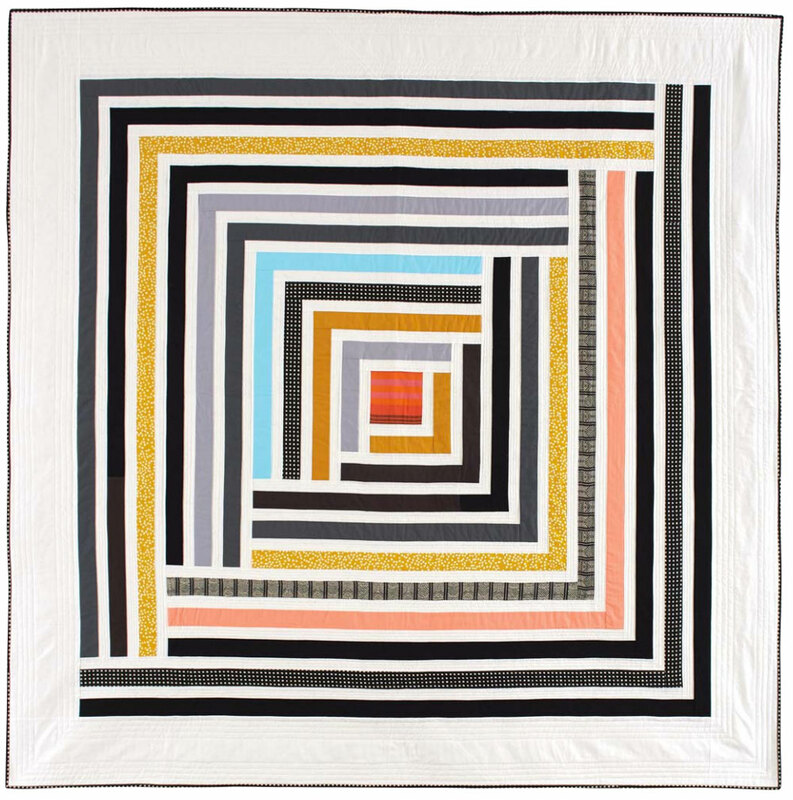 This fresh interpretation pays homage to tradition with its bright center square, but the sashing adds negative space to give it a contemporary look. 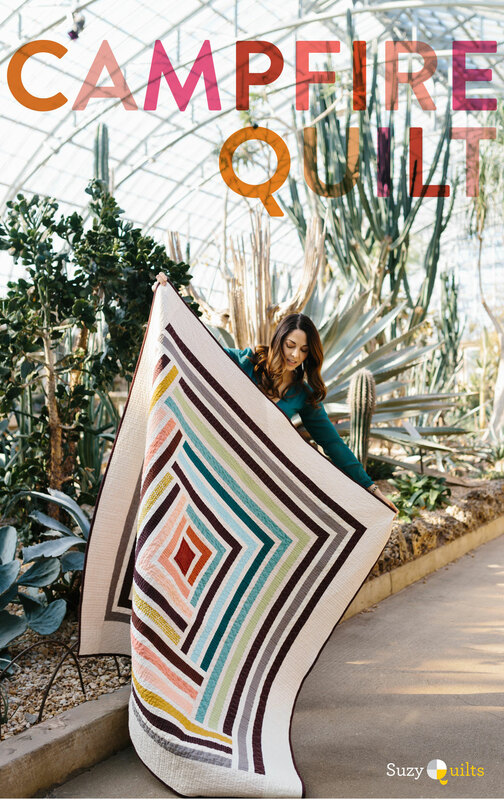 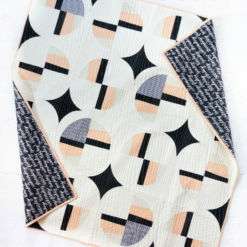 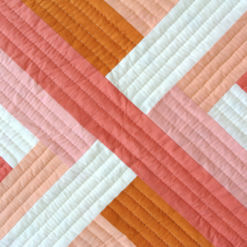 This quilt pattern is not difficult to make, but due to its composition, it does require a bit of precision. 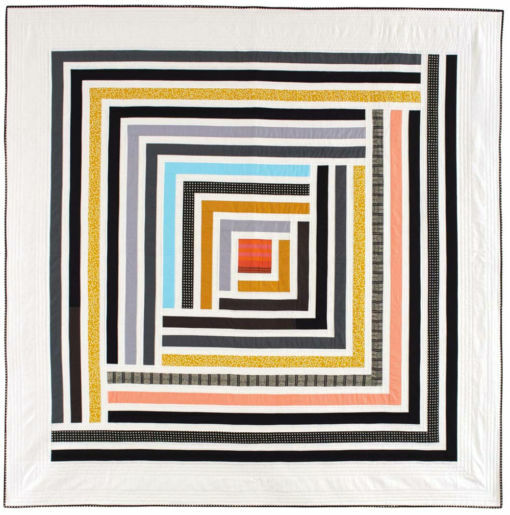 By growing the quilt from one central point, you are continually building from what has been done. 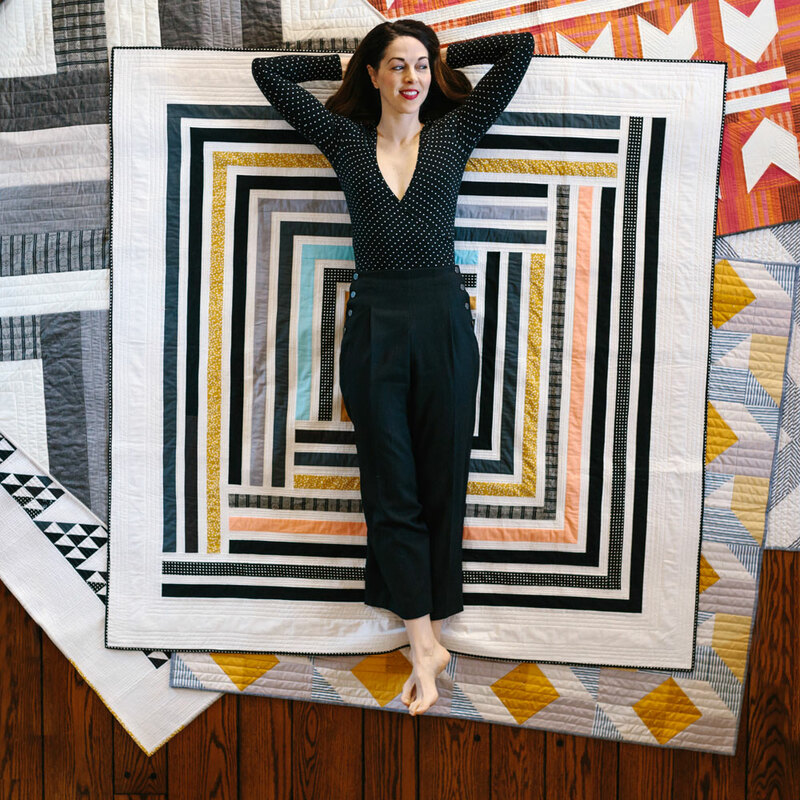 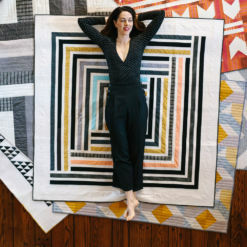 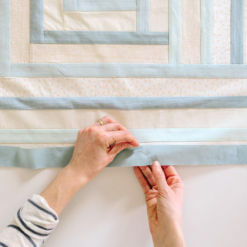 If your quilt becomes wonky early on, chances are, it will continue to get off kilter. 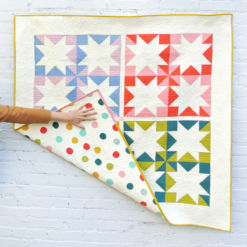 Never fear, my quilters! I have a few tips to help you avoid that issue. 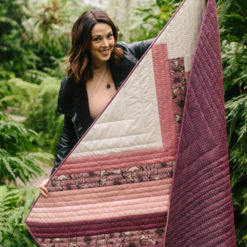 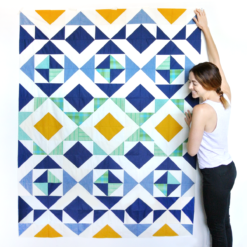 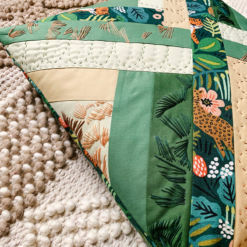 Get helpful tips on making the Campfire Quilt! 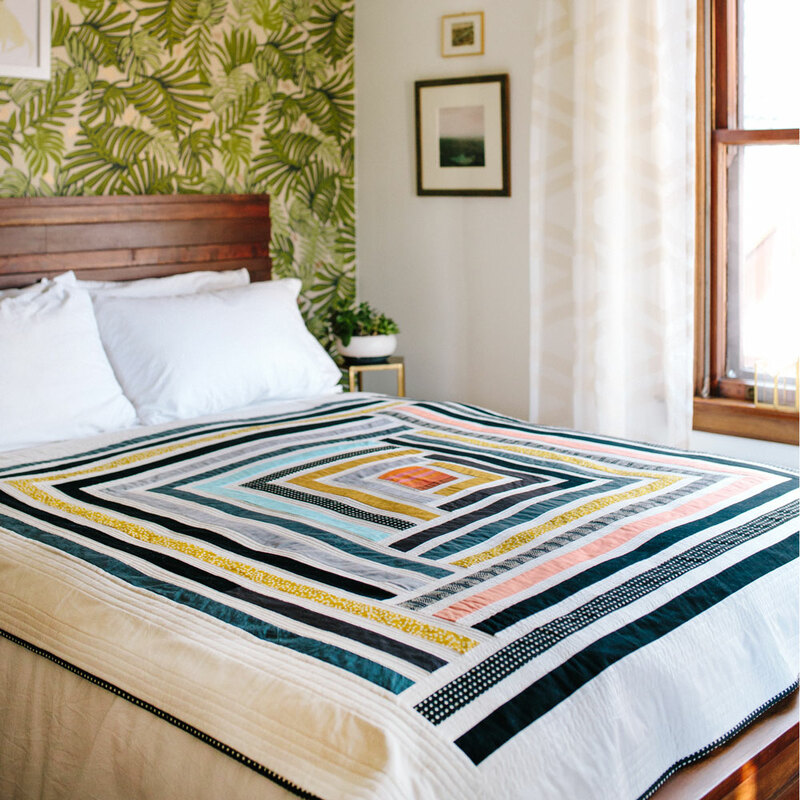 And before you ask what fabrics I used in these adorable quilts, click to the blog post above for a full rundown, including links!